Manassas, VA–Selah is scheduled to perform on Wednesday, February 25, at the Worship Service of the NRB 2015 International Christian Media Convention in Nashville, TN. 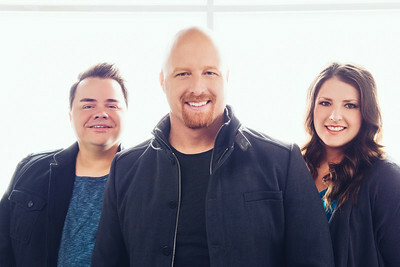 Comprised of Todd Smith, Allan Hall, and Amy Perry, Selah has garnered eight Gospel Music Association Dove Awards – including five Inspirational Album of the Year trophies – and eight #1 singles, along with numerous other accolades. With signature hits such as “You Raise Me Up,” “Wonderful, Merciful Savior,” and “Press On," Selah has to date amassed total sales surpassing 4 million album and single units combined. After 17 years in ministry and an impressive list of accolades, the members of Selah continue to impact lives with their musical gifts.